If you have been following me on Tiwtter then you know that I recently had some minor oral surgery. For three to five days after I was to be on a soft food diet. I know, how depressing. 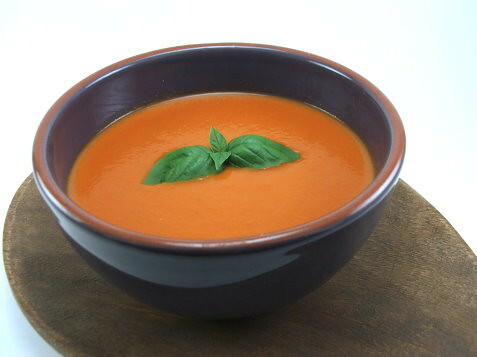 Well, I decided to be proactive and make some flavorful and hearty soups before I went in so my soft food experience would not be so dull, bland, and boring. No offense, but there was no way I was going to live off Campbell’s Soup and pudding cups. 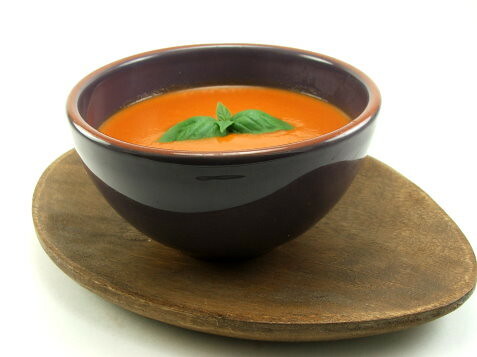 One of my favorite comfort dishes is creamy tomato basil soup. 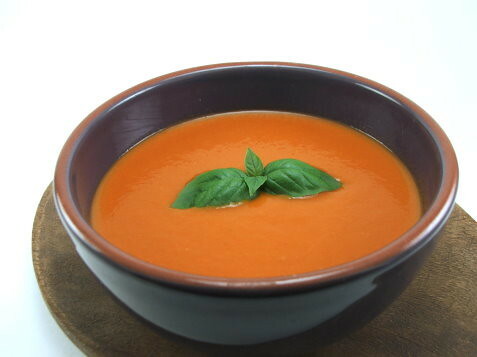 Having tried a variety of recipes for tomato soup, most of which were lacking in flavor or texture, I decided to take the recipe that was the most like what I wanted and tweak it. The following is adapted from a recipe on CD Kitchen. 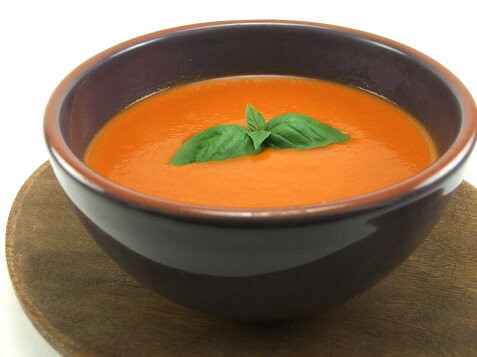 The original recipe seemed a little bland to me, and if I was going to be eating nothing but soup for the better part of a week, it was going to have plenty of flavor. In a heavy pot over medium heat melt the butter until it foams. 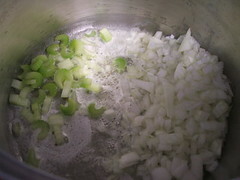 Add the onion and celery and cook until tender, about five minutes. Add the oregano and garlic. Cook until fragrant, about thirty seconds. 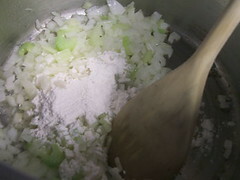 Add the flour and cook, stirring constantly, until it is completely absorbed and no clumps remain. 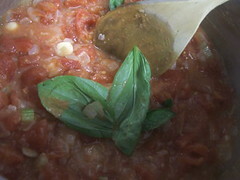 Add the sugar, bay leaf and tomatoes and stir to combine. Slowly add the beef stock and stir well. Season with salt and pepper. Reduce the heat to medium low and simmer for thirty to forty minutes. Remove the pot from the heat and add the basil. Remove the bay leaf and discard. 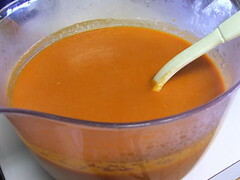 Working in batches, blend the soup until very smooth. Stir in the cream and return to the pot over low heat to gently warm.